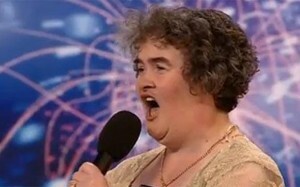 2009– Susan Boyle takes the Stage at “Britian’s Got Talent”. A person that most would write-off at first glance, sings “I Dreamed a Dream” from Les Miserables. Once she was done, the 48 year-old Scot got a standing ovation. The next day, her audition was posted and became one of the most viral on YouTube. It had been downloaded over 347 million times.